Rjukan Falls is a waterfall of 104 metres in the western part of the Westfjord valley in Tinn, a municipality in the county of Telemark, Norway, west of the industrial town Rjukan. The waterfall is a part of the Måne river, earlier a major tourist attraction, being one of the first floodlighted waterfalls by electricity produced by the same waterfall. 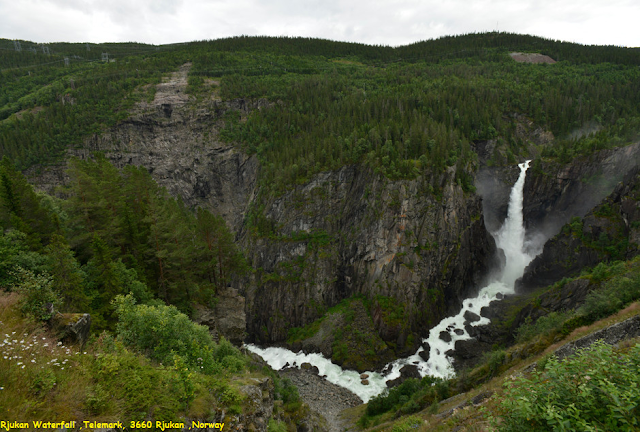 In 1905 Rjukan Falls was built out to produce hydro electrical power for the saltpetre production when Norsk Hydro was established.